A friend comes to your house to tell you all the benefits of having a job. You get paid! You learn things! You network! You might get free coffee! Once you agree that getting a job is a good thing, they talk you into paying them a fee of $1000/year to put you in a job that might not be right for you. It's a pretty average job. You make some money- enough to cover the fee, and some extra. But you could have gotten a better job somewhere else without having to pay an extra fee. Replace "job" with "investments", and that's what Primerica is selling. 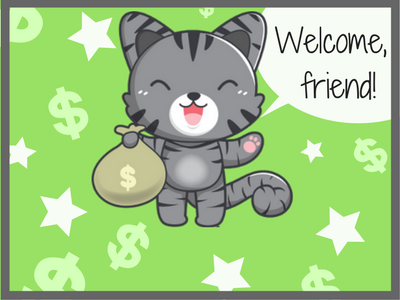 Just because investing is a good thing to do, it doesn't mean you have to pay a lot of money and commissions to someone else in order to do it. The Primerica salesman will also try to recruit you to join their business. Primerica is an MLM- or Multi Level Marketing scheme, after all. MLMs are a type of business model structured like a pyramid scheme that also sells a product. I think MLMs are bad news. That business model itself is highly problematic because it tends to screw over the folks at the bottom. However, my focus here is on Primerica's mutual fund products, specifically, from the customer's perspective. I want to dive into the customer experience itself, regardless of whether you "join their team". I can't advise anyone specifically as to what investments to buy. Everyone out there has different timelines and risk tolerances. However, I can tell you this: some investments are more expensive to own than others. In my opinion, Primerica teaches a lot of good concepts. Paying yourself first, the rule of 72, debt stacking, the high cost of waiting... these are all realities, great things to learn about, and very good reasons to pay down your debt and invest. You'll find me talking about the benefits of debt stacking and explaining compound interest on my website, too- even though I'm not trying to sell you any specific investments. The fatal flaw of Primerica is that the mutual funds themselves come with high fees. There are plenty of good investments out there that don't have high fees, but Primerica does not offer those as an option. Just because you should save your money doesn't mean that any old fund will do the trick. If you know you should be employed, you don't just get any old job, and you don't want to pay someone a large yearly fee to stay employed if someone else will give you a job fee-free. Primerica sells overly-expensive mutual funds because they need a way to pay their salespeople, pay everyone in their salespeoples' upline, cover corporate costs, and pay out to their shareholders. Let's talk about some different kinds of fees: sales fees and management fees. Sales fees are rewards for the salesman to convincing you to buy. Management fees go to the fund's management, to pay them for picking the mix of stocks, bonds and other stuff that makes up the fund. Before you buy any mutual funds from anyone, ask them about the fees. Make sure you understand fully how much you could lose to fees over the time you hold the investment- not just the upfront cost, or a percentage that you can't anchor to a dollar amount. If you don't have an intuitive understanding of compound interest works, I want you to read this first: Simple Explanation of Compound Interest. When understand this concept, you'll understand how a seemingly tiny fee can snowball into enough money to buy a Lexus. I want to be clear that Primerica isn't the only one who charges these fees. They are everywhere in the retail investing industry, like dog poo on a Bushwick sidewalk. You can buy these same mutual funds from others, and pay the sales fees to someone else. These kinds of fees are often straight-up commissions- a payday for your adviser and the company, right out of your pocket. These fees usually come out as a "front load", often of around 5%, right off the top. I hate front-loaded funds. Since investing is time-based, any money you put in early on has more earning power than money you put in later on. Taking money out at the start has a major stunting effect on your investment's ability to grow. Let's run some numbers on two pretend investments. To keep things simple, let's say that both have zero management fees, both gain 10% a year compounded yearly, and both start out with $10,000, and are left to grow for 30 years. But one has a front load fee of 5%- the salesman's share. The other has no front load. With the no front load fund, you'd have $174,494.02 at the end of it. With the front load, you'd end up with $165,769.32. Sounds crazy? Head over to the compound interest calculator and type the information in for yourself. If you don't do the math, you may think that you are only giving up 500 dollars to your salesman. But that 500 dollars did not have a chance to make interest. And that $500's interest did not have a chance to make interest. And it's interest's interest did not have a chance to make interest. Add up the total over 30 years and that front load cost you $8724.70 - the price of a used car. There is need to buy a fund with a sales fee. There are plenty that you can buy that do not have them. Passively managed index funds, for example, tend to not charge a front load, and perform similarly to their corresponding high-fee cousins. In addition to the "front load", Primerica's funds have high management fees, too. The management fees are expressed in the form of an "expense ratio" - a percentage of the fund that vanishes every year to pay the management. After all, mutual fund managers are not low-salary employees. The Vanguard Total Stock Mkt Index Admiral (VTSAX) has an expense ratio of .04%. The ClearBridge Large Gap Growth fund (SBLGX) has an expense ratio of 1.11%. Guess which one is offered by Primerica? That's right... the ClearBridge. Oh, sure, both seem very small at a glance. To better put the difference in perspective, the ClearBridge fund's fees are 27 times higher than the Vanguard fund's. When we're talking about amounts that are less than two percent, it might seem like not that big a difference. So to see exactly how many dollars you will lose to fees, you've got to run a little math. Thank goodness for calculators! We have two identical funds. We invest $10,000 to grow at 10% yearly for 30 years. One fund has a .04% expense ratio. The other has a 1.11% expense ratio. Let's forget about the front load for a moment, just to give ourselves a clear picture by keeping things equal. Let's run them through the investment fee calculator. Once again, feel free to play along and type the numbers in yourself. That's nearly fifty thousand dollars. Does a tiny percent seem small now? The same mutual fund can have different classes of shares. Share classes represent ownership in the same mutual fund but offer investors a choice in how to pay. Many funds offer Class A, Class B and Class C shares. They all have different fee structures: different expense ratios, front loads, back loads, rules about how long you can hold the investments without incurring fees for selling.... take a look, here's Primerica's own page of fine print on the matter. This is par for the course when it comes to actively managed mutual funds. Does it all sound dreadfully complicated? It is, and here's my little conspiracy theory: I think it's on purpose. It's as if they're designed to make you rely on your advisor to navigate the complex structures they themselves created, and put you off of doing your own math. Sometimes, you can save a little on fees by picking one share class over another. These are called "break even points", and your financial advisor / salesman will show you that he is picking the cheapest fund for your situation. But all he is doing is picking But behind every door, there is some kind of high fee waiting for you. When you've pulled up the quote, look for these two items near the top: "Load" and "Expenses". There they are: your fees! You can - and should - bring up your fee concerns to your adviser when deciding whether to buy a fund. Don't just compare the funds you're being sold to other high-fee funds. Compare them to the funds in the alternatives I describe below. Make your advisor prove he is acting in your best interest. Make him (or her) run the numbers and compare them to an index fund, not just other expensive funds. To keep people from ripping you off, the best thing you can do is learn a little bit about investing yourself- preferably from someone who is not trying to sell you something. Unfortunately, for most of us, if we are learning something from investing, it is likely a salesman who is teaching it to us. You can understand how that can be pretty dangerous! The most-recommended book about this is The Simple Path to Wealth, by JL Collins. The book actually started out as letters he was writing to his college-aged daughter as fatherly advice. If only we all had fathers (or mothers!) who imparted us with investing wisdom, right? Four words: Passive. Index. Fund. Investing. Since the funds are passively managed, which means that there is a set strategy from the beginning (such as "buy a small piece of every company in the US", or "buy a small piece of every company bigger than a certain size") there's no need to pay for fund managers and all the yachts, coke, and strippers they need to do their job. This makes the fees way lower, and they rarely charge front loads. But don't you stand a better chance of making money if you have some guy actively managing your fund every day? Not really, say Richard A Ferri, CFA and Alex C. Benke, CFP, in this paper they wrote on Index Funds. Translation to plain English: "We looked at this really carefully in lots of different ways. Index funds do better than actively managed funds." You can find a way to do index fund investing at lots of different places: Fidelity, Schwab and Vanguard are the big names, but I am sure there are more. Vanguard has a cult following among fee-hating investors. I use Fidelity because they had the lowest fees at the moment I signed up- but not all of their funds are low fee. My Fidelity 401(k) portfolio consists of just one fund: FSTVX. It might seem scary to have just one fund, but that one fund contains a little piece of every US company traded on the stock exchange. Once again, I suggest picking up the very famous, and easy to read, book: The Simple Path to Wealth by JL Collins. This is the guy that sparked my own interest in index funds. If you're not comfortable picking funds on your own, there are even robo-advisors who can make it easier for you. Check out Wealthfront, Betterment, and even Ellevest. Note: I have problems with Ellevest over their .5% AUM fee, but they are still miles better than Primerica's front loads and >1% expense ratios in my book. If you need the hand-holding, but don't want to shell out an arm and a leg for it, these robo-advisors are your best bet. All three of these all have options for passive index fund investing, too. Wealthfront and Betterment have .25% AUM fees. That isn't nothing, so run it through the investment fee calculator. But the money you'll save on fees from the underlying funds could make it worth it, many times over. Conclusion - Are Primerica's Investments Bad? MLM nonsense aside, I think that Primerica's products are probably better than not investing at all. Lots of people out there will have their first exposure to the concept of compound interest from a Primerica salesman, and get inspired to start investing. That's a good thing! 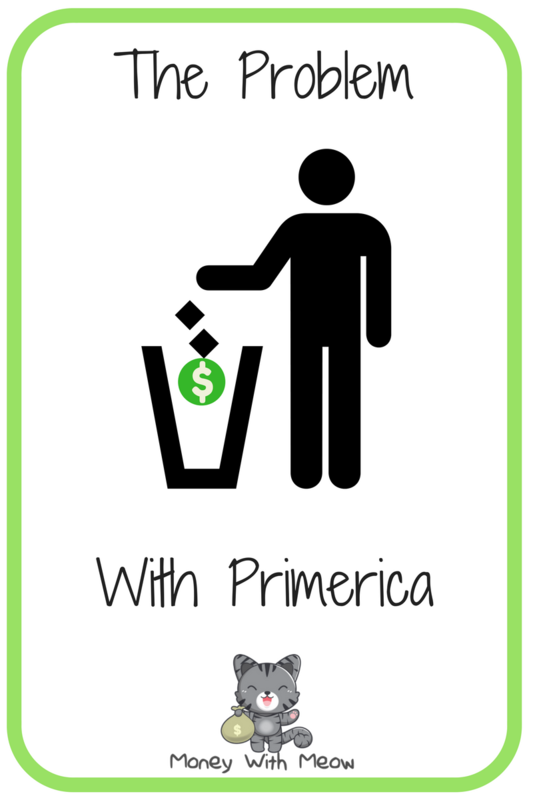 However, I think Primerica is not a good choice compared to other companies. The investments themselves include plenty of fees to keep corporate rolling in the profits, while throwing some bread crumbs to the salesmen to keep them motivated. All this money has to come from somewhere. It comes from the customer. If you want to invest, it's worth taking a little time to learn how fee structures work and compare the fees on your potential investments. Never go in blindly- especially with someone who is trying to sell you something. P.S. If you are new to personal finance, investing, and money management, check out the rest of this blog. I put it together because I was completely baffled by all things money until I went back to school. P.S.S. Want to start budgeting? Try out Trim Bill Negotiator . Yes, it's an affiliate link but I tried them out and I think they're a good choice for someone who wants to get in charge of their money. Disclaimer: I am not your adviser, and I didn't write this to sell you a specific product or security: rather, I wrote this to entertain and educate you. I encourage you to do your own math and check my numbers. This is my personal opinion, and I encourage you to find other sources before making a decision. I might seem like a cheerleader for Vanguard, but I actually don't hold an account with them. I do my index fund investing with Fidelity, which is comparable fee-wise and offers comparable index funds too. The 10% number in the examples is largely arbitrary; the stock market itself returns 8-12% yearly when looking at long periods of time, but naturally there are major up years and major down years, so it's hard to guess what the number should be. Since we're talking about long periods of time in our examples, I decided that it was appropriate. I encourage you to re-run my calculations with any numbers you find more reasonable. Very nicely worded and easy to understand the complex information! Thank you. Regarding the 2 fund comparison Vanguard Vs Clearbridge. What was the NET growth of one VS the other after 1 - 3 - 5 years ? Low fee is great, but with a low return, that doesn't sound like a great advantage ! The problem with math/statistics, they can be read so many ways. This article is good and as you say Primerica teaches....you read that right....teaches people to get out of debt, banks and insurance companies don't spend the time, they want you in debt...they make $1B/month off ppl in debt. I just compared those two funds, if $10k invested in 2008, Clearbridge by 2/18 you'd have $29k. Vanguard would give you back $23k....Net of fees ! Professional management gets you in/out of a stock if returns fall, an index doesn't move that fast and will return lower returns. Look at a fund, look at the manager of the fund (very important), look at the companies in the fund, if you use those companies products and buy those products, than it may be a good fit. Buy companies you understand, stay away from companies you don't understand like Bitcoin (or wait for the winner of all the rivals). Can you please clarify, how investing in Vanguard is better than investing Primerica? The reason i ask, Vanguard is the largest shareholder for Primerica. From what i confirmed, Primerica broker outs your investments to Invesco, Legg Mason, etc., so shouldnt your article be in regards to the investments companies they broker out too? Please review the link for the investment companies Primerica uses for investments. It's all about the expense ratio. You can get similar funds from Invesco, Legg Mason, Fidelity, Vanguard, etc. Each one will cost you a certain fraction of your money to own. Many of them are very very similar, except some have higher fees than others. Not a couple bucks higher. We're talking tens of thousands of dollars over a lifetime higher. Of course, these are expressed as tiny fractions of a percent each year, so they hope nobody notices the difference. If you think the fund's performance is worth the fees, go for it. But as for me and other index investors, we think that the difference is not worth it. Now that you've educated people who may have already made the mistake, its time to mention "back end" fees, which will penalize them further should they decide to switch their funds elsewhere. Question, are you licensed through FINRA? I want to make sure your information is accurate. Your article mentions only front load fees but should also discuss back end fees. I find your article odd because its titled "Problem with Primerica" based on 2 funds. How about you also compare funds from Invesco, Legg Mason, and American funds. Fully educate the viewers on all types of fees (front end/back end). Also go over the performance of each fund from inception.the vanguard fund you mentioned has not performed well comapared to other funds since inception, averaging a 7% ROR. Thanks for the great article. I read the book you recommended (JL Collins' Simple Way to Wealth) and thought it was life changing. I'm embarrassed to admit I knew nothing about investing and was fooled into joining Primerica. Had a "friend" who I thought was nice enough and trustworthy enough transfer my 401k from a former employer (30g) into an IRA with them April of 2018 until now, putting in $300/month. I've just now looked through my account thoroughly, and realized I've been charged a sales charge rate of roughly 5% on 4 funds, totaling $1923 of my money in 8 months. All front load, all into the pockets of their rep up the ladder to their district leader and director. WTH. Yes the market has been down ($4889), but the fees has been 40% of my total loss. After reading tons of investing articles, JL Collins book, and Bogle's book Common Sense Investing, I'm pissed. This is why JL Collins says con artists are disguised as very nice people. No one cares about your money more than you. Never trust a "rep" trying to deal with your money. I've transferred to Vanguard. Highly recommend anyone dealing with Primerica to get out as fast as you can. The transfer cost me $85, and closing the account was an additional $50. You can then sell your funds to Vanguard and invest in a Vanguard index fund. WORTH IT for your longterm financial wealth. PLEASE DO YOUR OWN READING AND RESEARCH. It really pays off. I learned the hard way. $1900 is an expensive lesson, but hoping anyone reading this can learn from it too.